Hosted by the ILO on the 1 November, the meeting is co-convened by ILO, UNCTAD, and the South Centre, with the participation of UNOSSC, Geneva-based agencies (i.e. Unitaid, WIPO, UNECE, UNEP, UNITAR, IOM, WHO, ITC, ITU, UPU, SUN, UNDP) and Rome-based agencies (i.e. FAO and IFAD). The outcome of this round-table discussion will present the contribution of Geneva-based agencies to the preparation of BAPA+40 in Buenos Aires next year. In Buenos Aires, Argentina 1978, a milestone event in the history of South-South and triangular cooperation (SSTC) in the UN – The Conference on Technical Cooperation between Developing Countries (TCDC) was successfully held with 138 countries from Global South adopted the Buenos Aires Plan of Action (BAPA) – a robust framework of recommendations for Promoting and Implementing TCDC at UN and its member states. Forty years have passed and SSTC has been increasingly recognised as an effective driving force to support the individual and collective pursuit of sustained economic growth and sustainable development in the developing world. Over the last decades, SSTC has gained great attention in the international development agenda (e.g. the 2030 Agenda, Sendai Framework for Disaster Risk Reduction 2015-2030, the Vienna Programme of Action, the Paris Agreement, and the Addis Ababa Action Agenda, etc) and has been endorsed by many UN Agencies, notably UNCTAD and the ILO. 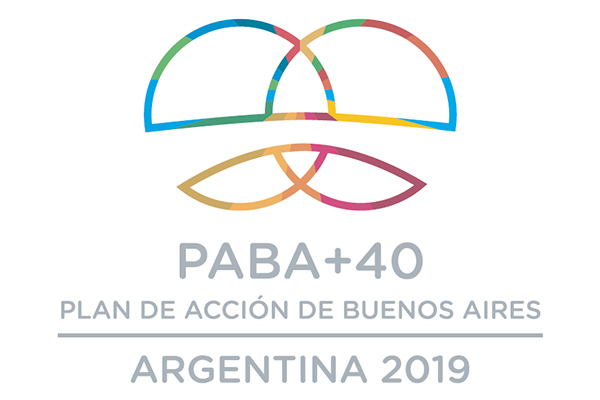 Marking the fortieth anniversary of the adoption of BAPA, the United Nations General Assembly resolutions 71/318 and 71/244 mandate the UN to convene a Second High-level United Nations Conference on South-South cooperation (BAPA+40 in Buenos Aires from 20 to 22nd of March 2019. BAPA+40 will be an opportunity to discuss the progress made on SSTC and the role in the implementation of the 2030 Agenda. The key outcome of the Conference will be an inter-governmentally agreed policy document that will not only chart the way forward for SSTC; but also serve as a guiding tool for governments, national and international institutions, civil society and other relevant actors to develop and/or integrate SSTC elements in their programmes, projects, resource mobilization strategies and evaluations. Against this backdrop, ILO, UNCTAD and South Centre will be joining forces in preparing an informal consultation of Geneva-based Agencies under the form of a round-table discussion, with the participation of: South Centre, ILO, UNOSSC, WHO, UNCTAD, UNITAID, WIPO, UNEP, UNECE, IOM, ITC, ITU, UPU, UNITAR, SUN, and UNDP. The Rome based Agencies will be invited to share their views on their SSTC strategy to BAPA +40. In line with the Secretary General’s note entitled “Preparatory process of the second High-level United Nations Conference on South-South Cooperation”, the informal consultations should be structured around the overarching theme: “Role of South-South opportunities”. The discussion is expected to provide some key messages from Geneva-based agencies to be considered and reflected during the BAPA+40 conference and its outcome document.